London, 1920. World War I has just ended, but for the women of London the real war has only just begun. Alice Diamond, a resourceful street survivor, and Maggie Hughes, a widowed political activist, form an unlikely bond and make a vow to change the world. Recruiting a ragtag team of feisty, independent women, they set out to disrupt the status quo in the most unladylike fashion they know: by transforming themselves into a gang of thieves. When Alice decides that the gang’s next heist will be at the site of a massive new jewelry store, the gang protests. But Alice pursues the high-risk venture and the consequences lead to a painful and powerful recognition of the dangers of pride, rage, and greed. Based on the exploits of the historical Forty Elephants Gang, Diamond Alice is an exciting new musical in which a group of unconventional and dynamic women discover what it means to live life by their own rules. 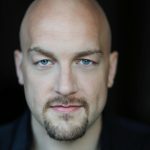 ALEXANDER GEMIGNANI (Music & Lyrics) is an actor, composer/lyricist, musical director, orchestrator, educator and Artistic Director. As an actor on Broadway: Rogers and Hammerstein’s Carousel (Enoch Snow – Tony, Drama Desk and Outer Critics Circle Nominations),Violet (Father), Chicago (Billy), Les Misérables (Valjean – Drama League nomination), Sweeney Todd (Beadle – Drama Desk nomination), Assassins (Hinckley – Theatre World Award), The People In The Picture(Moishe), Sunday in the Park With George(Boatman/Dennis). Off-Broadway: Road Show at the Public (Addison Mizner – Drama League nomination), Headstrong at EST (Nick) and Avenue Q at the Vineyard Theatre (Brian). Favorite Regional: Hamilton in Chicago (King George III, original cast), The Three Sisters (Andrei) at Cincinnati Playhouse, The Boys From Syracuse (Sergeant) at The Shakespeare Theatre of D.C. and the title character in the world premiere musical Saint-Ex at The Weston Playhouse. Concerts: The N.Y. Philharmonic at Avery Fisher Hall, The N.Y. Pops at Carnegie Hall, The L.A. Philharmonic at The Hollywood Bowl and the American Songbook Series at Lincoln Center. His solo show, All At Once, premiered at the Kennedy Center as a part of Barbara Cook’s Spotlight Series. As a composer/lyricist, he is currently developing four new musicals and composed the incidental music for several plays. 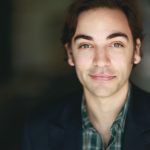 As a music director, he will be working on Fiasco Theatre’s upcoming production of Merrily We Roll Along at the Roundabout (also penning new orchestrations) and is in development with a new musical at the Public. He has served as guest faculty for the University Of Michigan’s Department of Musical Theatre and in 2013, created a new orchestration and music directed Ragtime for Tisch School Of The Arts at NYU. He is a member of the BMI Lehman Engel Musical Theatre Writing Workshop, a proud graduate of The University of Michigan and this past summer was his first serving as Artistic Director for the National Music Theater Conference at The Eugene O’Neill Theatre Center in Waterford, CT. His greatest joys are his beautiful daughter and his incredible wife, Erin Ortman. BEN STEINFELD (Book) is an actor, director, teacher, and co-artistic director of the acclaimed Fiasco Theater. As an actor, Ben has been seen on Broadway in the Roundabout Theatre Company’s revival of Cyrano de Bergerac, and as James Monroe in Bloody Bloody Andrew Jackson. His Off-Broadway acting and directing work for Fiasco includes: his Lucille Lortel nominated performance as the Baker in Into the Woods at the Roundabout (Lortel Award for Best Revival); Cymbeline at Theatre for a New Audience and the Barrow Street Theatre (Off-Broadway Alliance Award for Best Revival); Measure for Measure at the New Victory Theatre (NY Times Top Ten of 2014), The Two Gentlemen of Verona at TFANA and the Folger Theatre, and Twelfth Night at CSC. In the summer of 2016 he made his London acting and directing debut with Fiasco’sInto the Woods at the Menier Chocolate Factory; the 2016-17 National Tour of Into the Woods garnered Helen Hayes and LA Drama Critics Circle Awards. Ben recently appeared Off-Broadway in the new musical One Thousand Nights and One Day. Regional theater work includes: McCarter, Long Wharf, the Old Globe, Trinity Rep, and many others. His television and film acting work includes HBO’s Muhammad Ali’s Greatest Fight, the upcoming film Callahan, “The Good Wife”, and “Law & Order: Criminal Intent”. Ben co-authored an essay for the recent book Living With Shakespeare (Random House), and has two new musical writing projects in development. Ben has narrated several young people’s concerts with the Philadelphia Orchestra and the NJ Symphony Orchestra. He is the recipient of the Excellence in Teaching Award from NYU’s Gallatin School, where he is an adjunct professor and artistic associate. He is a graduate of Brown University and the Brown/Trinity MFA Program. 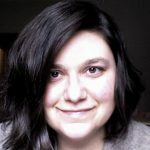 AMANDA DEHNERT is a director, adaptor, playwright and composer. Recent directing credits include West Side Story at Carnegie Hall; Timon of Athens, Into the Woods and My Fair Lady at Oregon Shakespeare Festival; the world premiere of Cloudlands for South Coast Repertory; The Fantasticks for South Coast Repertory, Long Wharf Theatre and Arena Stage; Cabaret for Stratford Shakespeare Festival, Canada; Not Wanted on the Voyage for American Music Theatre Project at Northwestern; and a staged reading of Two Gentlemen of Verona – The Rock Opera for Shakespeare Theatre, D.C. Other favorite credits include the premiere of Eastland: a New Musical for Lookingglass Theatre Company (direction and orchestration); Richard III at The Public Theatre Mobile Shakespeare Unit (director and composer); Death of a Salesman for Dallas Theatre Center (director and composer); Julius Caesar for Oregon Shakespeare Festival (director and adaptor); and Romeo and Juliet and Midsummer Night’s Dream for Chicago Shakespeare Company (director, adaptor and composer). Writing credits include the world premiere of The Verona Project for California Shakespeare Theatre (also composer); and Peter Pan (a Play) for Lookingglass Theatre Company. Dehnert is an associate professor of theater at Northwestern University’s School of Communication.